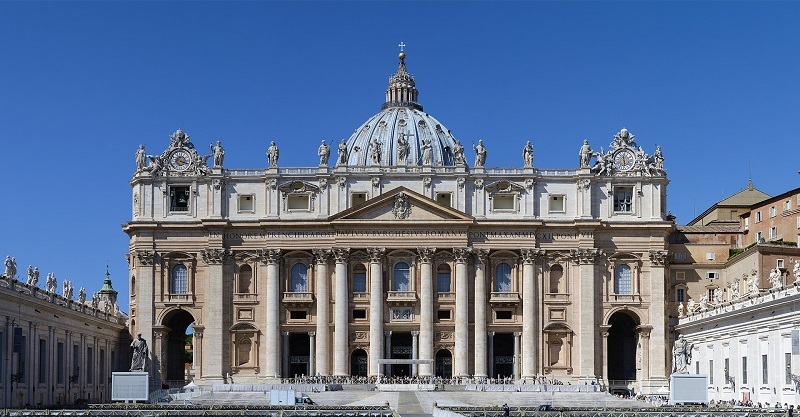 St. Peter’s Basilica, an Italian Renaissance church is one of the most important structures buildings in the Vatican and the world. It’s a masterpiece of architectural design with several sections. There are many aspects of this church that has baffled many people for ages, especially the contributions of Michelangelo. Here are 10 facts that might interest you about this magnificent building. It will interest you to know that the building you see today is not the first St. Peter’s Basilica, but the second one. First Christian Roman emperor, Constantine ordered the first church to be built in the 4th AD, but it was later torn down to be replaced by the one you see now. Click the next ARROW to see the next photo!